This week's missing person case was a high-profile case. I remember watching the news hoping and praying with the rest of our nation that little Timmothy Pitzen would be found alive and safe. Timmothy was the only child of Jim and Amy Fry-Pitzen. They lived in Aurora, Illinois. 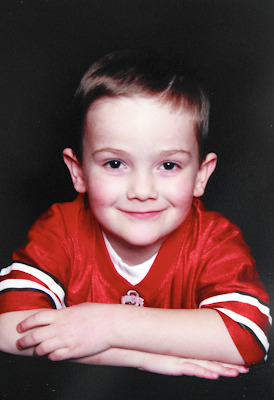 Timmothy was only 6 years old at the time of his disappearance. Timmothy is a Caucasian male whose hair and eyes are brown. Those who knew Timmothy called him Tim or Timmy. On the morning of May 11, 2011 Jim dropped his son off at school. 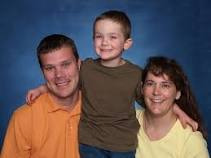 Within a half an hour, his mother Amy arrived at the Greenman Elementary School claiming there was a family emergency and she had to take Timmothy out of his kindergarten class. There was no emergency with their family that morning. Jim Pitzen has not seen his son since that early morning in May. Three days after Amy had taken her son from his school her deceased body was discovered in a motel room. She had died of self-inflicted wounds to her neck and wrists. Detectives found that after Amy had checked Timmothy out of school she drove over to an auto repair shop and dropped off her blue 2004 Ford Expedition SUV at around 10 a.m. An employee that worked at the auto repair shop drove Amy and Timothy to the Brookfield Zoo and at about 3 p.m. she came back to pick up her repaired vehicle. She then proceeded to drive Timmothy to the Key Lime Cove Resort in Gurnee Illinois where they spent that night. When Jim went to pick up his son from kindergarten and found out that his mother had taken him out of school that morning under the pretenses that there was a family emergency he tried to call her cellular phone numerous times and got no answer. He then decided to report his wife and son missing. Further investigation and camera footage would help investigators piece together some of Amy's following movements. On the 12th of May, Amy and Timmothy drove to the Kalahari Resort in Wisconsin Dells Wisconsin. The following morning at 10 a.m. security footage would show them waiting in line to check out. Amy made several calls on her cellular phone to loved ones saying her and Timmothy were not in any kind of trouble and they were fine. Timmothy could be heard in one of the calls sounding normal and only saying he was hungry. This was the last time anyone heard or saw little Timmothy. Amy was spotted alone at a Family Dollar store where she purchased stationary in Winnebago Illinois. She also went to a nearby Sullivan's Foods and then checked in to the Rockford Inn in Rockford Illinois. As Investigators reviewed the surveillance footage they were able to piece together that Amy had taken Timothy and spent previous days visiting water parks and having fun with him. It was sometime on the night of May 12th or the next morning 13th Amy took her own life by taking an overdose of antihistamines and slashing her own wrists and neck. Employees at the Rockford Inn found Amy's body at 12:30 p.m. on May 14th. Amy left behind a suicide note and two letters in the mail one for her mother and one for a friend saying that timmothy would be fine and he is with people who would care about him. She did not name those people in one of the notes Amy wrote she said no one would ever find him. Investigators did not find Amys cellular phone. The cellular phone which was missing at the time of her death turned up on the road side of Route 78 in the Autumn of 2013. Investigators went back to the place where it was found and conducted a search but found nothing of Interest. There was also nothing of Interest found on the cellular phone. Among other items that were also missing included Timothy's Spider-Man backpack, his clothes and toys, the clothes Amy was wearing when she checked out of the Kalahari Resort, a tube of Crest toothpaste and on I-PASS transponder. Also missing was Timothy's car seat leading the investigators to initially believe Amy had in fact given Timmothy to someone else. However, later on Timothy's car seat turned up in his grandmother's possession in Wooster Ohio she had had it since the week before he had disappeared. Amy's SUV was examined and found to be visibly dirty with soil weeds and Tall Grass stuck to the undercarriage. Forensic testing on the materials on her car indicated it had stopped for a time on a gravel area just off on asphalt road that had one time been treated with glass Road making beads in the backseat of Amy's SUV they found traces of Timothy's blood however they could not tell how long the stains had been there and one of the boys relatives said that he had gotten a bloody nose in the vehicle are about 12 to 18 months before his disappearance. Investigators believe Amy may have been planning Timothy's disappearance for months. In February and March of 2011 she had taken two unexplained trips to the area where Timmothy would later disappear from. mYSTERIOUS case! Sad to hear.